This Discover Wine series focuses on regions of the world that you can visit for wine tasting. This edition focuses on the famous Sonoma Valley wine region in California, which is conveniently located just an hour north of the Bay area. There’s something unique and refreshing about the Sonoma Valley wine region. Located just an hour’s drive north of San Francisco, Sonoma and Napa sometimes meld together in people’s minds as one big wine region, but there is actually a fairly big difference between the two. Sonoma is the laid back, unpretentious cousin of the Napa Valley. The Sonoma vineyards are run by families who have been farming the land for decades, the wine is solid and reasonable priced, and the tasting room experience is relaxed and friendly. There are quite a few AVAs in the Sonoma Valley — 16 to be exact — so the wine produced in this area, coming from many different terroirs can all be significantly different. That’s one of the things that makes the Sonoma Valley so fascinating for wine tourism. There’s always something new and interesting to try. ★ Plan ahead. Book your Sonoma Valley wine tour here. Being in such close proximity to San Francisco makes getting to Sonoma really easy. It’s a quick one-hour drive from the city. You can fly into either San Francisco or Oakland International Airport, and drive from there. Or better yet, fly right into Santa Rosa, which will put you directly in the heart of the valley. It’s one of the easiest airports to get in an out of, so you can be wine tasting within 20 minutes of landing, if you want. And the best part of flying into Santa Rosa is being able to check a box of wine for free on your return flight if you fly on Alaska Airlines. Where to taste wine in Sonoma is often left up to personal preference, because each of the AVAs in the area produce such different wines. There are five main areas – Sonoma Valley, Dry Creek (for Old Vine Zinfandel), Alexander Valley (for Cabernet Sauvignon & Chardonnay), Sonoma Coast and Russian River Valley – plus a good handful of others. If you have plenty of time in the region, plan to spend a day in each of these top AVAs, so you can really learn the history and lay of the land. Unique to Sonoma is the Visa Signature cardholder program that covers tasting fees at designated wineries, along with discounts and other offers. If you have a Visa Signature card, check out the map of participating wineries. Click to the Sonoma Signature Event for more information. J Vineyards and Rodney Strong — Located right next to each other, these two wineries produce some very good wines. You’ll get to taste some reserve wines that you can’t find anywhere else as well, and they’re all very good. Francis Ford Coppola — Certainly a more touristy wine destination, Francis Ford Coppola has a lot more to offer than just a gorgeous chateau. The wines are all very solid. And you’ll be treated to a walk through the Coppola entertainment history museum set up inside the main tasting room. In the summer, there’s also a pool club to join, and the views from the pool cannot be beat. Gundlach Bundschu — You may be a hard time pronouncing it the first time, but don’t let that stop you from visiting Gundlach Bundschu. Not only is the location and building stunning, there’s an underground cellar where some tastings are held, plus a wonderful array of art and memorabilia. Downtown Healdsburg — Downtown Healdsburg is packed full of tasting rooms, many of which are smaller production and very charming. Some of my favorites are Stephen & Walker, Thumbprint Cellars and Stonestreet. Cline Cellars and Jacuzzi Family Vineyards — These two wineries are across the street from each other just south of Sonoma, amongst a bunch of great wineries. Cline is housed in a beautiful Victorian building and offers a free tasting on their basic line, but it’s the reserve Zinfandel’s and Syrah’s that we love the most. Jacuzzi has some very good wine as well as olive oil tasting in their facility. Gloria Ferrar — If you like bubbly, stop at nearby Gloria Ferrar for their line of sparking wines and gorgeous view from the terrace. There are plenty of tour companies who are happy to be designated driver for the week or weekend, so you don’t have to do the driving yourself. Alternatively, some taxi companies will agree to a set number of hours for a fee, which will cut back on the typical “tour” costs of having a guide along. The difference between two is flexibility. If you book a preset tour, you’ll have to visit the wineries they designate. Hiring a driver will allow you to visit the wineries you want, and in your own time. One of the most fun ways to see the valley is by bike. Try this Healdsburg Wine Tasting Bike Tour through Viator and ride along country roads to visit some of the Dry Creek Valley wineries outside of Healdsburg. Another alternative is to book a ride on the Sonoma Wine Trolley that takes you to four different wineries and is a unique way to tour the area. The Sonoma Valley is rather large. It stretches from as far south as Petaluma up to Geyserville – roughly 40 miles. My personal favorite place to stay is in the town of Healdsburg. Some of my favorite wineries, restaurants and places to stay are located there. Other areas to stay include Santa Rosa, Windsor and the city of Sonoma. Downtown Healdsburg has many great dining options. One of my favorite places to eat in the entire Sonoma Valley area is Bravas tapas bar. Nearby is a good casual option for lunch or dinner, Healdsburg Bar & Grill. If you’re looking for picnic staples, you can’t go wrong with any of the sandwiches or salads at the Oakville Grocery. J Vineyards has lovely winery lunch options. We went to a Winemaker’s Lunch at J Vineyards last year during the Sonoma Wine Country Weekend event, and loved every bite. While they don’t do this everyday, the food on the regular menu is just as good. The Girl & the Fig is a top choice for upscale California cuisine with a French twist. And there’s always a quick stop at Inn ‘n Out to fill up before tasting more wine. If you’re a serious wine and food lover, you must consider visiting Sonoma during the annual Sonoma Wine Country Weekend, held every year over Labor Day. It’s a fabulous 3-day event that includes winemaker lunches and dinners, a Grand Tasting and wine auction. Wine tasting in Sonoma Valley is relaxed and fun, which is why I love it there so much. If you want to go tasting in Napa Valley, it’s just a 30-60 minute drive to the east. 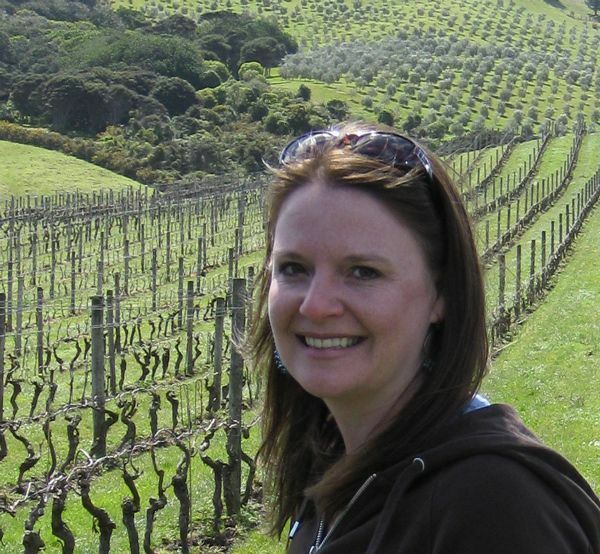 This entry was posted in Discover Wine and tagged California, Sonoma. You stopped at some of our favorite wineries! We enjoy their wine at home but have never made the trek to Sonoma. This makes me want to book ASAP! It’s good to know the airline lets you check a case of wine on your trip home.